Great British Islam is a documentary about three Englishman who embraced Islam and the consequences they faced. It also explores the legacy they left behind in Britain. "As I’ve noted before, Thomas Jefferson once held a sunset dinner here with an envoy from Tunisia -- perhaps the first Iftar at the White House, more than 200 years ago. And some of you, as you arrived tonight, may have seen our special display, courtesy of our friends at the Library of Congress -- the Koran that belonged to Thomas Jefferson. And that's a reminder, along with the generations of patriotic Muslims in America, that Islam -- like so many faiths -- is part of our national story. This evening, we’re honored to be joined by members of our diplomatic corps, members of Congress -- including Muslim American members of Congress, Keith Ellison and Andre Carson -- as well as leaders from across my administration. And to you, the millions of Muslim Americans across our country, and to the more than one billion Muslims around the world -- Ramadan Kareem. More broadly, we’ve seen the extraordinary courage of Muslim women during the Arab Spring -- women, right alongside men, taking to the streets to claim their universal rights, marching for their freedom, blogging and tweeting and posting videos, determined to be heard. In some cases, facing down tanks, and braving bullets, enduring detentions and unspeakable treatment, and at times, giving their very lives for the freedom that they seek -- the liberty that we are lucky enough to enjoy here tonight. These women have inspired their sisters and daughters, but also their brothers and their sons. And they’ve inspired us all. Even as we see women casting their ballots and seeking -- standing for office in historic elections, we understand that their work is not done. They understand that any true democracy must uphold the freedom and rights of all people and all faiths. We know this, too, for here in America we're enriched by so many faiths, by men and women -- including Muslim American women. They are entrepreneurs and lawyers, community leaders, members of our military, and Muslim American women serving with distinction in government. And that includes a good friend, Huma Abedin, who has worked tirelessly -- (applause) -- worked tirelessly in the White House, in the U.S. Senate, and most exhaustingly, at the State Department, where she has been nothing less than extraordinary in representing our country and the democratic values that we hold dear. Senator Clinton has relied on her expertise, and so have I. These are the faces of Islam in America. These are just a few of the Muslim Americans who strengthen our country every single day. This is the diversity that makes us Americans; the pluralism that we will never lose." 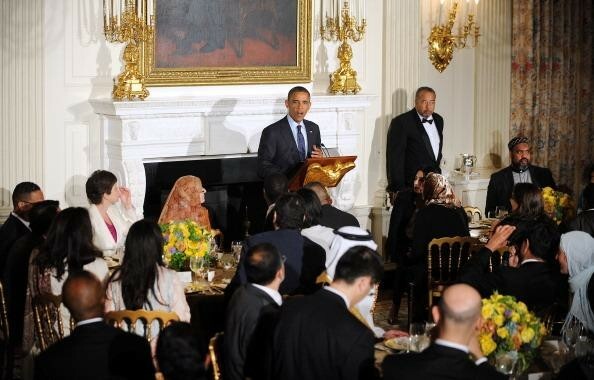 U.S. President Barack Obama speaks at an Iftar dinner celebrating Ramadan in the State Dining Room of the White House August 10, 2012 in Washington, DC. Credit: Photo by Olivier Douliery-Pool/Getty Images (image source). London has been a rather exciting place in the last few days with the Olympics nearing an end and the gold medal tally for Britain in third place for the world. One of the things I enjoyed seeing was the Muslim participation to British sports. The video's below are interviews with athlete Mohammed Farrah, rower Mohamed Sbihi and hockey player Darren Cheesman. All three talk about the role of faith in their professions and lives. "The Olympics 2012 has been named ‘Year of the Woman’. Within team GB there is much evidence of this. The likes of female athletes like Jessica Ennis, the women's team pursuit cyclists and the Hosking – Copeland rowing duo have bolstered Great Britain’s place on the medal table by grabbing gold medals. The accolade of ‘Year of the Woman’ has been earned because for the first time in Olympic history women will be represented in all 205 of the participant national teams, and make up 45% of the total athletes. This has been made possible since Saudi Arabia, Brunei and Qatar decided this year to send female athletes. Consider then the case of Wojdan Ali Seraj Abdulrahim Shahrkhani, the female judo competitor from Saudi Arabia. The 16 year-old was given a special invitation by the International Olympic Committee to compete in the over-78kg category under the Olympic charter, which bans gender discrimination. She was told last week by the International Judo Federation that she would not be allowed to wear her hijab, because of safety concerns. Saudi Arabia has only allowed its women to compete on the condition that they are at all times dressed in suitable clothing that complies with Sharia (religious law). Depending on how the international community wants to present itself (democratic, tolerant), it must find ways to accommodate such expressions of religion. 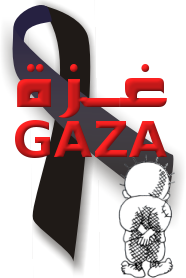 Some have already started this process – and ended up with solutions such as the ResportOn ‘Hijood’, which is a hoodie attached to a t-shirt made from sports fabric. It was created by Elham Seyed Javad for female Muslim athletes who want to keep their hair covered. She set about designing such a piece after learning of five Muslim girls being banned from a tae kwon do tournament in Montreal because of the health and safety question their hijabs posed. One prominent wearer of such an item of clothing is the 28 year old athlete from Bahrain, Roqaya Al Gassra. She won the women’s 200m final at the 2006 Asian Games in Doha, making her the first Bahraini-born athlete to win a major international athletics gold medal, and has been the first ever to wear such a piece at the 2004 Olympics. 2012 will be the first year to showcase the talents of the Muslim female athletes from the participating countries, where this was not the case before, in many ways this is the year of the Muslim woman." "I'm taking part in Dine@Mine, an initiative set up by 25-year-old Maryam Douale from Manchester. The idea is that Muslims host an iftar (the meal with which you open your fast) for non-Muslims, to forge better understanding over food. "Ramadan at my house is loud, fun and full of love and good food," Douale says. "It's my family at its warmest and best. I thought what if we could give non-Muslims a chance to see what a normal Muslim family is like? Food plays such an important role in cultures and traditions ... it brings people together"
Jack and Jenni arrive. We offer them elderflower drinks, explaining we will wait until we've opened our fast, but they say they want to wait with us. Although they haven't fasted ahead of the meal, they are excited about joining in: "When would I ever get the chance to experience any part of Ramadan?" Jenni asks. I was worried the experience might put us on show – Look! Here are Muslims who fast! – but it hasn't at all. Friends and colleagues are intrigued about Ramadan but shy of asking questions and I want our guests to feel they can ask anything. Being used to fasting, I forget this is what baffles people most. "Do you really get up at 3am? Is it like a midnight feast" asks Jenni, who thinks sehri, the pre-fast meal, sounds "magical". I tell her that eating bagels while half asleep is quite mundane. They've been reading up on Ramadan, and instead of bringing flowers, made a donation to a charity for the homeless. The simple act of sharing a meal together has laid down the foundations of a new friendship – Douale will be pleased to hear we're going over to theirs for dinner after Eid." "My favourite memory is from my last night of the trip. I had been walking around Istanbul all day in the heat, and I was tired, with maghrib still about an hour and a half away. I sat down on a bench near a bunch of picnic tables, content to just sit and absorb what I could during my remaining time in the city. A man came up to me and started chatting in English: had I been walking around all day, where was I from, how did I like Turkey. He mentioned that he was fasting, and I told him that so was I, and he invited me to join him and his family (his two sisters, his niece, and his niece’s children) for iftar that evening. Soon, he and I were walking through the crowd, searching first for his sisters and then for a free picnic table, and then he was off to go buy some food, while I stayed with the others. They gave me gifts: prayer beads shaped, and scented, like roses, and earrings with a matching heart-shaped pendant. When the man I had first met came back with the food, the women spoke to him in Turkish, and he explained to me that they had given me the gifts because they liked me so much. And yet they only barely knew me. There are many teachings in Islam about the importance and value of feeding someone who is fasting, but this wasn't just about the food. The meal, the gifts, their warmth: this is Turkish hospitality, they explained." “O People! The month of Allah (Ramadan) has come with its mercies, blessings and forgivenesses. Allah has decreed this month the best of all months. The days of this month are the best among the days and the nights are the best among the nights and the hours during Ramadan are the best among the hours. This is a month in which you have been invited by Him (to fast and pray). Allah has honoured you in it. In every breath you take is a reward of Allah, your sleep is worship, your good deeds are accepted and your invocations are answered. Therefore, you must invoke your Lord in all earnestness with hearts free from sin and evil, and pray that Allah may help you to keep fast, and to recite the Holy Qur’an. Indeed!, miserable is the o­ne who is deprived of Allah’s forgiveness in this great month. While fasting remember the hunger and thirst o­n the Day of Judgement. Give alms to the poor and needy. Pay respect to your elders, have sympathy for your youngsters and be kind towards your relatives and kinsmen. Guard your tongue against unworthy words, and your eyes from scenes that are not worth seeing (forbidden) and your ears from sounds that should not be heard. Be kind to orphans so that if your children may become orphans they will also be treated with kindness. Do repent to Allah for your sins and supplicate with raised hands at the times of prayer as these are the best times, during which Allah Almighty looks at His servants with mercy. Allah Answers if they supplicate, Responds if they call, Grants if He is asked, and Accepts if they entreat. O people! you have made your conscience the slave of your desires. Make it free by invoking Allah for forgiveness. Your back may break from the heavy load of your sins, so prostrate yourself before Allah for long intervals, and make this load lighter. Understand fully that Allah has promised in His Honour and Majesty that, people who perform salat and sajda (prostration) will be guarded from Hell-fire o­n the Day of Judgement. O people!, if anyone amongst you arranges for iftar (meal at sunset) for any believer, Allah will reward him as if he had freed a slave, and Allah will forgive him his sins. A companion asked: “but not all of us have the means to do so” The Prophet (Sallallaahu Alaihi Wasalaam) replied: Keep yourself away from Hell-fire though it may consist of half a date or even some water if you have nothing else. O people!, anyone who during this month cultivates good manners, will walk over the Sirat (bridge to Paradise) o­n the day when feet will tend to slip. For anyone who during this month eases the workload of his servants, Allah will make easy his accounting, and for anyone who doesn’t hurt others during this month, Allah will safeguard him from His Wrath o­n the Day of Judgement. Anyone who respects and treats an orphan with kindness during this month, Allah shall look at him with kindness o­n that Day. Anyone who treats his kinsmen well during this month, Allah will bestow His Mercy o­n him o­n that Day, while anyone who mistreats his kinsmen during this month, Allah will keep away from His Mercy. Whomever offers the recommended prayers during this month, Allah will save him from Hell, and whomever observes his obligations during this month, his reward will be seventy times the reward during other months. Whomever repeatedly invokes Allah’s blessings o­n me, Allah will keep his scale of good deeds heavy, while the scales of others will be tending to lightness. Whomever recites during this month an ayat (verse) of the Holy Qur’an, will get the reward of reciting the whole Qur’an in other months.